The 30th anniversary of Mr Finucane’s murder occurs on Tuesday of this week. The 39-year-old was shot 14 times by loyalists in collusion with British security forces as he ate Sunday lunch at home with his family. He told an audience at St Mary’s University College in west Belfast on Sunday: "Our lives changed forever." His father's best years professionally were ahead of him, his son said. He added: "It was a deliberate decision to kill him, to silence other lawyers and prevent them from doing that type of work. "What we see now is a generation coming through with lawyers, people wanting their human rights. 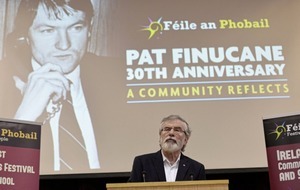 "I think that is very much a legacy of Pat Finucane and what he stands for and represents. "That gives me enormous pride. While they did silence him they could not have made a bigger mess of it if they tried. "The name reverberates around the world and an enormous amount of credit for that is to due to my mother." Former British prime minister David Cameron acknowledged the "shocking" level of state collusion in the 1989 UDA killing after receiving a report on the evidence. Sir Desmond de Silva's review confirmed agents of the state were involved and it should have been prevented - but ruled out an "overarching state conspiracy". 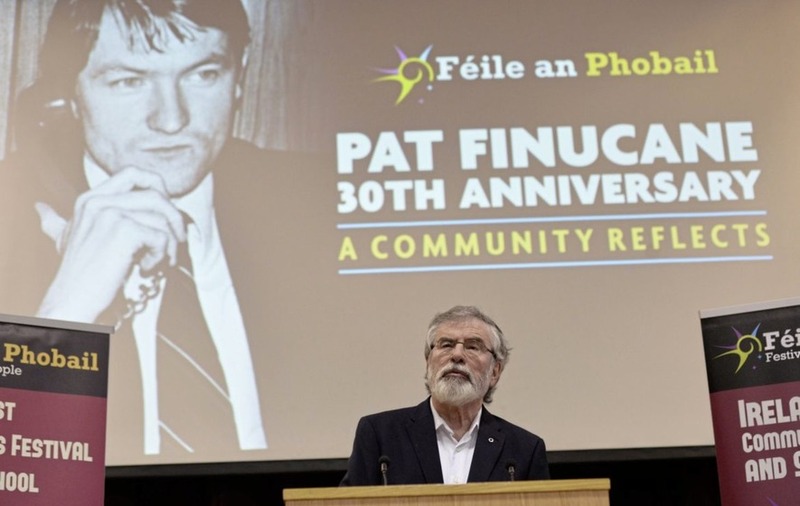 The Finucane family have engaged in years of litigation over what they say is the British government's failure to grant an independent public inquiry and strongly opposed the decision to order the de Silva review. As a defence solicitor he represented clients who included convicted IRA members and families involved in shoot-to-kill allegations against the RUC. During the republican hunger strikes in prison in the 1980s he represented Bobby Sands. 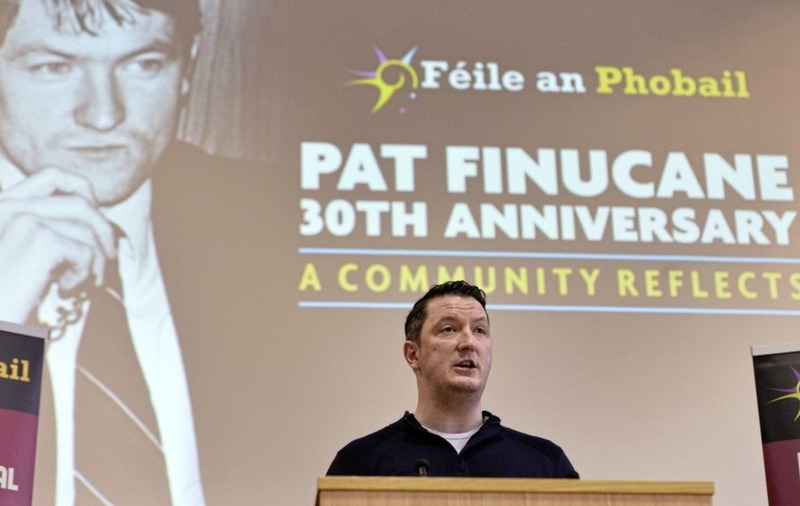 Mr Finucane recalled the early years of his family's campaign for justice. "We were attacked very deliberately and cruelly as nothing more than republican propagandists, that we were an IRA man's children who did not deserve truth and justice," he said. He praised his mother Geraldine's hard work, strength and resilience. Former Sinn Féin president Gerry Adams said the murder "haunted" the corridors of power to this day. He said the Finucane family are using their influence to help everyone else, to raise their voices for those who have none. He said the solicitor was a decent human being, a hero who dedicated his life to aiding others. Mr Adams added: "As a human rights lawyer it didn't matter to Pat whether you were a republican, a unionist, a loyalist, or none of these. "If you were arrested you have rights and Pat's responsibility - his vocation, his mission in life - was to vindicate and defend those rights. "Pat believed that the law should uphold and protect the rights of citizens. But he was not naive. "Pat understood the difference between the theory and the practice in the application of human rights."